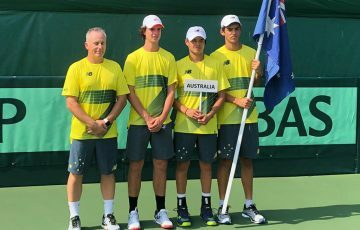 Australia's top tennis 14-and-under junior boys' and girls' set to take on world's best at ITF World Junior Tennis Finals. 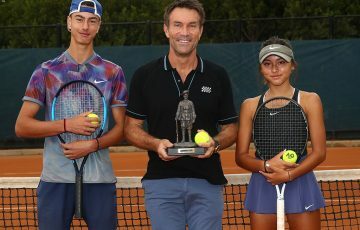 Seven of Australia’s best 14-and-under junior tennis players will travel to Prostejov, Czech Republic to compete in the prestigious ITF World Junior Tennis Finals from Monday 7 to Friday 12 August. 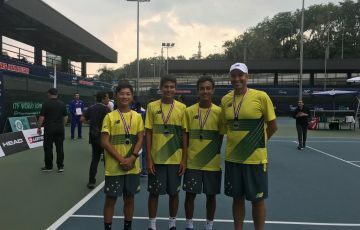 Australia qualified in both the junior girls’ and boys’ divisions after placing first and third respectively in their Asia / Oceania qualifying events held earlier this year in Bangkok, Thailand. 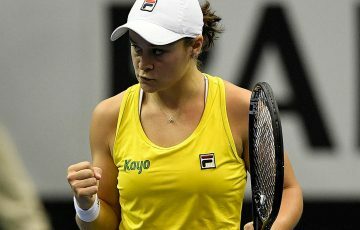 The Australian girls’ team will feature Annerly Poulos (Canberra, ACT), Lara Walker (Brisbane, Qld) and Charlotte Kempenaers-Pocz (Glengowrie, SA) with Tennis Australia National Women’s Tennis Manager Rohan Fisher named as the team captain. Top Canberra junior Poulos is looking forward to pulling on the green and gold for Australia. “I’m really excited to be representing Australia. 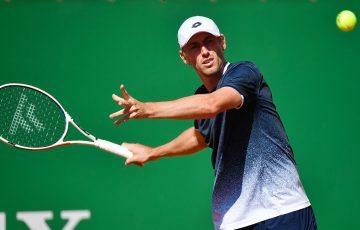 “After doing so well together at the qualifying event in Thailand I cannot wait to play in the Czech Republic,” Poulos said. Fisher believes the team is ready and raring to compete at the world finals. “The girls did extremely well in Thailand, winning the Asia / Oceania World Junior Tennis qualifying event. This has provided them with a strong sense of confidence and belonging coming into the Finals,” Fisher said. “The girls have been training hard in preparation for this tournament and have been playing junior events across Europe, building their competition experience on clay. 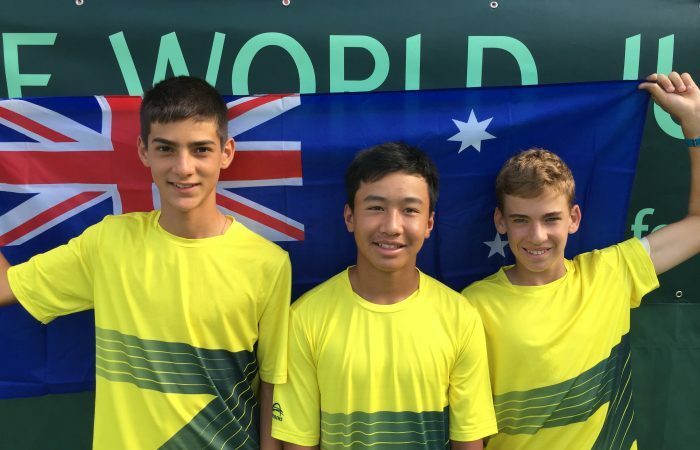 In the boys’ squad, Casey Hoole (Kedron, Qld), Philip Sekulic (Wakerley, Qld), Edward Vo (Croydon Park, SA) and Cooper White (Alphington, Vic) have been named to represent Australia at the international event. 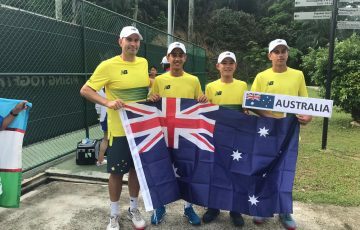 Tennis Australia National Academy Coach – Queensland Anthony Richardson will captain the team. Richardson said the team is looking healthy and strong ahead of next week. “We have an extremely even team and the boys all get on so well. Team spirit and togetherness is a real strength of the squad this year,” Richardson said. Both teams departed for Europe last month to train, compete and prepare for the tournament. The world’s top 16 nations from five qualifying zones earned their place in the ITF World Junior Tennis Finals after qualification events were held in Africa, North / Central America, South America, Europe and Asia / Oceania earlier this year. The ITF World Junior Tennis tournament is an international team competition for players aged 14-and-under. 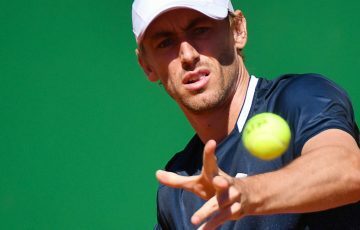 The ITF World Junior Tennis competition has helped launch the careers of former world No.1s including Novak Djokovic (SRB), Lleyton Hewitt (AUS), Rafael Nadal (ESP), Kim Clijsters (BEL) and Justine Henin (BEL), who all participated in the event as juniors.